3. ** In adults, risk of malnutrition (medium and high risk) is determined using the Malnutrition Universal Screening Tool (‘MUST’), a validated screening tool based on body mass index (BMI), weight loss and acute disease effect. 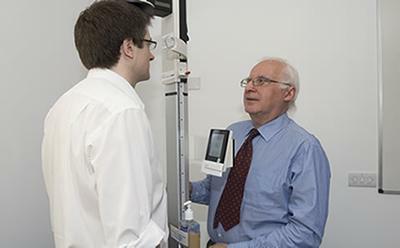 ‘MUST was developed by BAPEN and is the most widely used nutrition screening tool in in the UK, both within and outside the hospital setting. Further information and a copy of ‘MUST’ can be viewed and downloaded from www.bapen.org.uk. In children somewhat different criteria are used to determine risk of malnutrition, which take into account growth. Enteral Tube Feeding: Use of tube to deliver a feed directly into the stomach or gut. 6. BAPEN is a Charitable Association that raises awareness of malnutrition and works to advance the nutritional care of patients and those at risk from malnutrition in the wider community. 7. The NIHR Southampton Biomedical Research Centre is the nation’s centre for translating nutrition research into better health and care. It is funded by the National Institute for Health Research (NIHR) and is a partnership between University Hospital Southampton NHS Foundation Trust and the University of Southampton.